Make the most of your time in Shanghai on this full-day, private tour of the city. Start your day early: meet your guide at your centrally located hotel, and enjoy a traditional Chinese breakfast before you begin your excursions. Then, travel the city via public transportation to some of its highlight attractions. 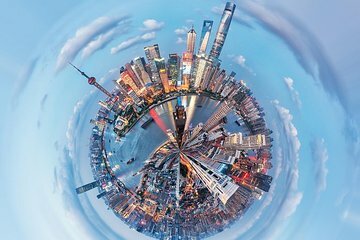 From the Bund to the French Concession, Shanghai Old Street to the People’s Square, you’ll see some of Shanghai’s key areas (and will learn more about the city from your guide as you go).